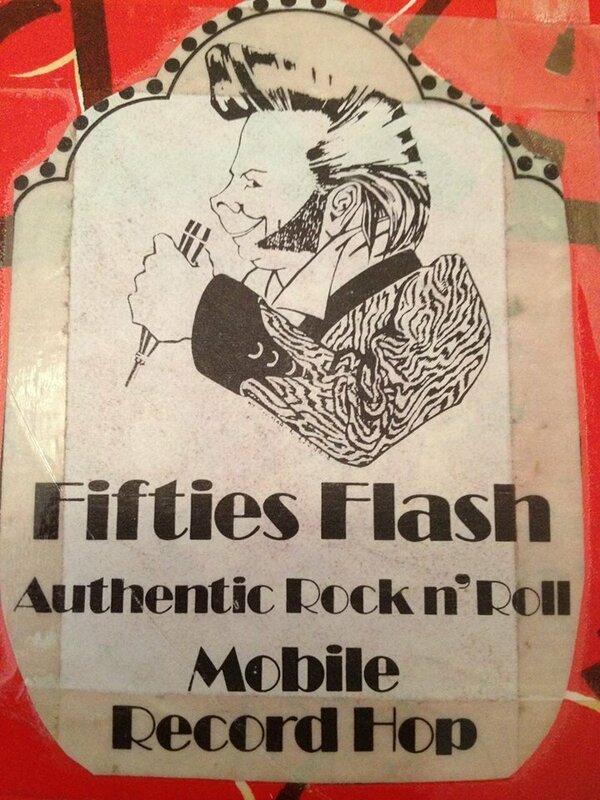 Fifties Flash (Keith Pinnell) is a respected former Teddy Boy and London based Rock ‘n’ Roll D.J. who has been on the scene since the late 1960’s and has been a stalwart of the movement, DJ ing at countless gigs over the years. Keith Pinnell in full Ted gear - better known as 'Fifties Flash' outside the then 'Iron Bridge' (now the Olde Northwood) pub, High Street, Northwood, Middlesex in 1968. The scene has changed dramatically since this picture was taken. Keith Pinnell started his DJ career as 'Fifties Flash' in the early 1970's at the 6-5 Youth Club on Sheepcote Road, Harrow along with his close friend Phil Holmes and they DJ'd together and were known as 'Flash and Phil'. Flash also put on gigs at the Roxborough Hotel, which was also in Harrow. Other well known Fifties Flash venues were the Hobline in N. Wembley and the Bobby Sox in Willesden. Since his early days in Harrow, Flash's DJ career expanded massively all over London and in the 1980's could be found at venues such as 'Bumbles' in Wood Green on a Tuesday night and the Royalty at Southgate on a Thursday and Shades Nightclub. The great strength about Flash was that he was very often the first DJ to play rare records not previously heard on the scene before. He would always ensure that the dance floor was packed and would play to all comers including the mix of Teddy Boys and Hep Cats. 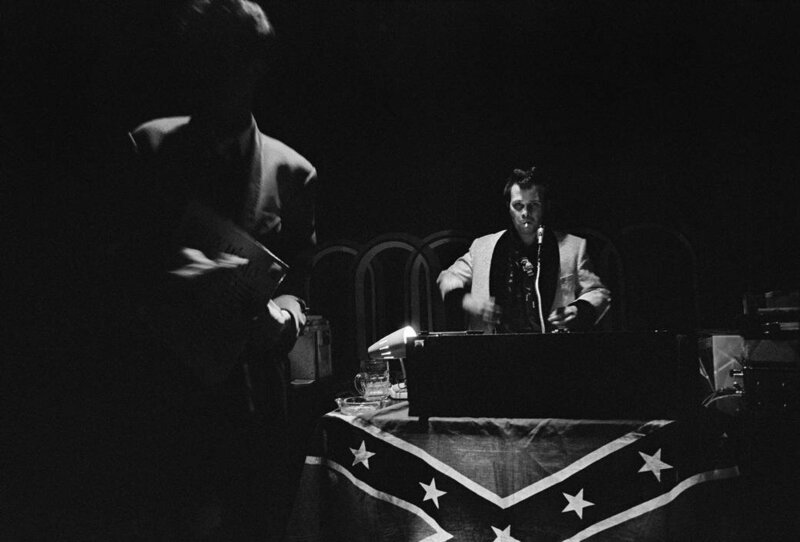 'Fifties Flash' DJ in London 1975. Fifties Flash used to have a fine quiff, but now his bald dome is decorated by a few strands of hair tied together at the back. He still loves the music, he still loves the scene, and he's still a regular DJ, but these days it's not a living, so to survive he drives an early morning delivery van. I meet him at the old rockers' hang-out, The Ace Cafe on the North Circular in London. The cafe has had a makeover, but is still a shrine to youth culture grown old, even featuring a Mod night which draws groans from some of the Teds who are there. Unlike Danny, Flash never left the scene and you sense that he never will, and that he might like to have a gravestone carved into a giant quiff. Flash continued to actively DJ through the 1990's and 2000's until he sadly had a Stroke last November (2012) and has not recovered very well from this. Due to the Stroke, Flash has suffered severe memory loss and is struggling with day to day life. Nowadays he is living off a state pension and then had his phone cut off because he could'nt pay the bill. This made it very difficult for anyone to contact him to make sure that he was is alright. Good friend of Flash's, Tash Leigh has started a campaign to help Flash. She has started a benefit fund for Flash, so that (in in her words) we can help a great man, at least financially to get back on track. Tash is a loyal and honest friend and is keeping records of all payments received so anyone can see where it will be going. Because Flash got into such a state, Tash has since written to all utility companies, paid bills and set up direct debits, so Flash could not get into this desperate situation again. Social Services have arranged for a physiotherapist to start to work with Flash on his walking and are in the process of arranging a speech therapist. 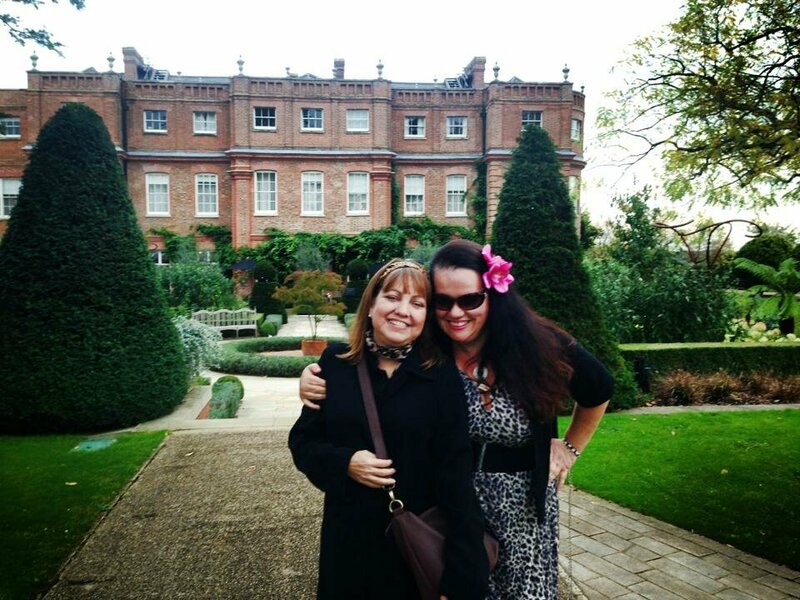 On 15th October after meeting with the Social care "enabling team" Tash and her good friend, Janice Cutler managed to get Flash the 6 weeks free care that he needs. After that he has to pay for it ....WTF ??? Natasha Leigh and Janice Cutler who have both given their unswerving and total support for Flash. Apparently, Tash should claim the Attendance Allowance for him , so he can pay them out of it !!! Unbelievable this government ......Anyway, at least he has now started his medications and Tash does not have to drive all the way there to make sure he has taken medication in the mornings and Janice Cutler has been doing the evening run, so that is a relief. Can you believe it - after 6 weeks though they just stop the care !!!! They are also doing 6 weeks of meals on wheels ! Tash is negotiating with the Housing Department to find out when Flash can move, so is making a start on sorting through all his personal effects and on the morning of 17th October, Tash Leigh and Janice had a very successful meeting with the Community Housing team at Flash's flat. They have assessed the situation and can plainly see the extent of his circumstances and have said they will treat this as urgent and get him moved to more suitable accommodation as quickly as possible. Great news all round, as soon as Tash and Janice have a new flat for him, and they will use the donations to buy new furniture, telly, white goods etc. A Benefit gig, the 50's Flash Benefit Dance been organised for Saturday 11th January 2014 at the Boston Arms, 178, Junction Road, Tufnell Park, London N19 5QQ. Wildcat Pete, The Wild Wax Show, Hep Beat Record Show, The Collins Kids (Trev Collins & Dave Mumbles), Strops Hop & more to be confirmed. Raffle prizes donated by Jay Ster, Vivien of Holloway, Freddies of Pinewood, Chester Dowling, Kev Sartain, Dave Molloy, Robin and Collette. If anyone of you would be interested in sending any donations either cheque or paypal or you would like to help, or just to send a card to Flash please contact Natasha Leigh for cheque payment details, or if you prefer paypal please send to : tashleigh62@virginmedia.com. Natasha is on Facebook and would like to thank you to everyone of you who has donated or given their time and advice to date. Let's get Flash back on his feet again!